This photo shoot features an event held at The Contemporary Austin. 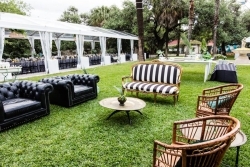 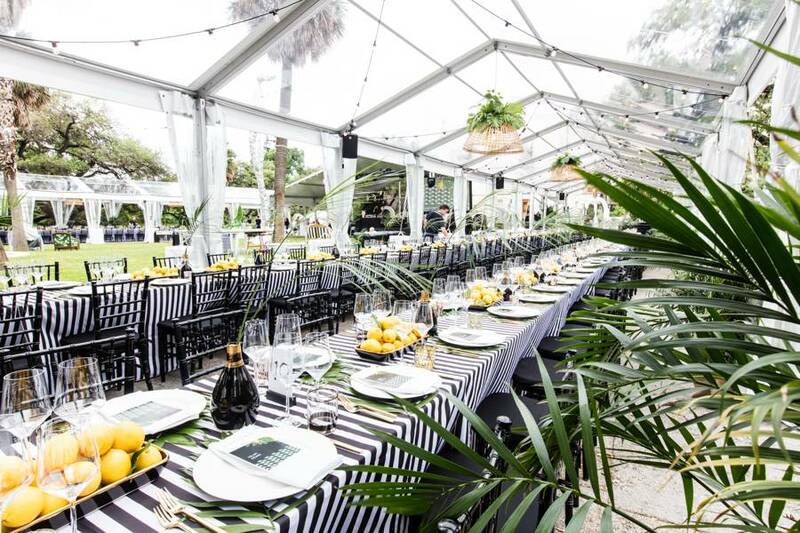 The theme all fit together so nicely under our Clear Top Tent Rental. 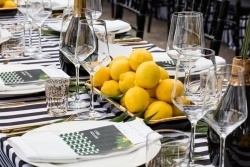 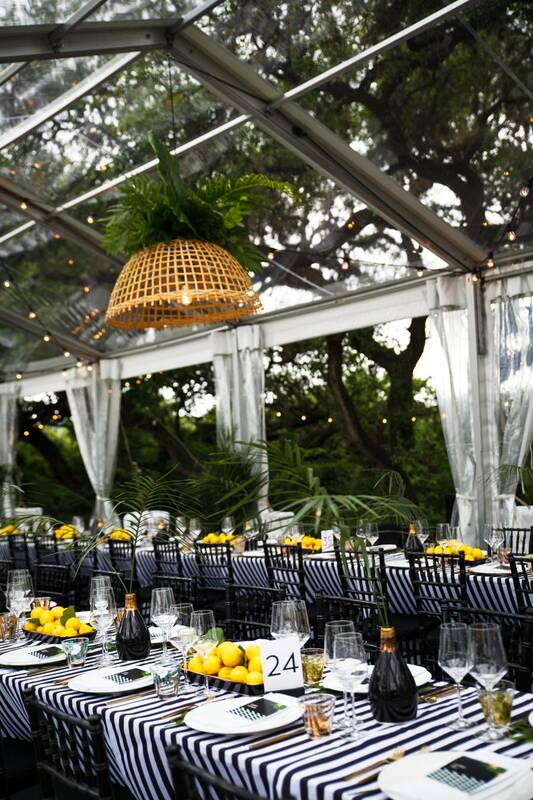 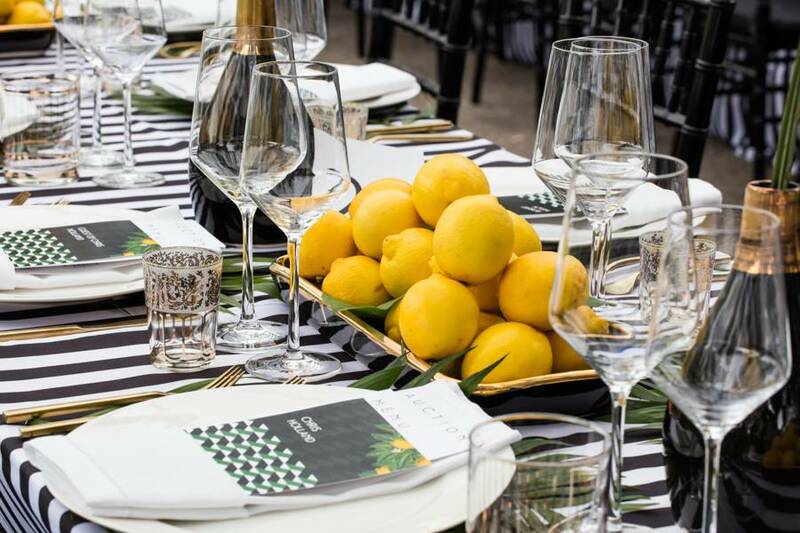 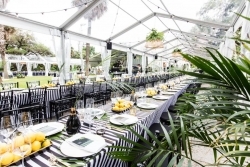 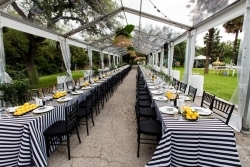 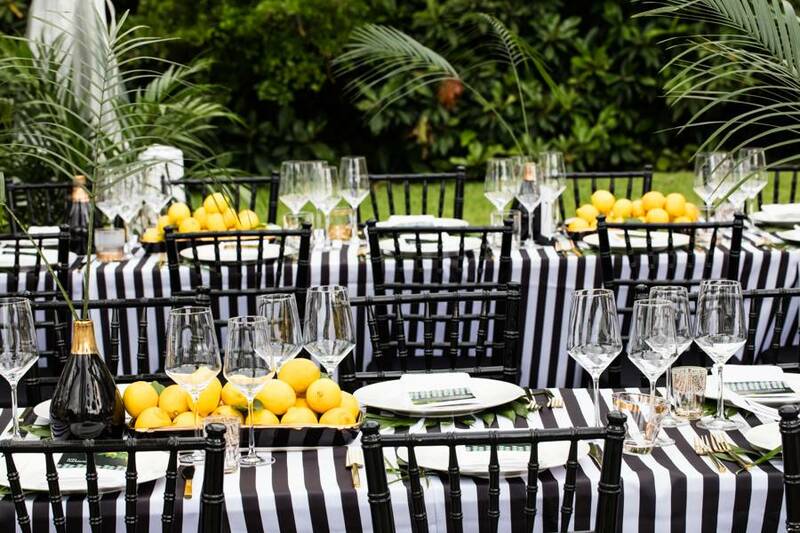 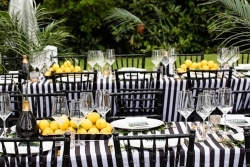 The piled lemon centerpieces add the perfect punch of contrast to the black and white striped linens which are laid on a long run of banquet tables. 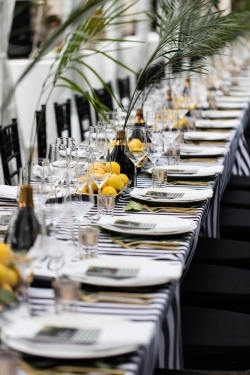 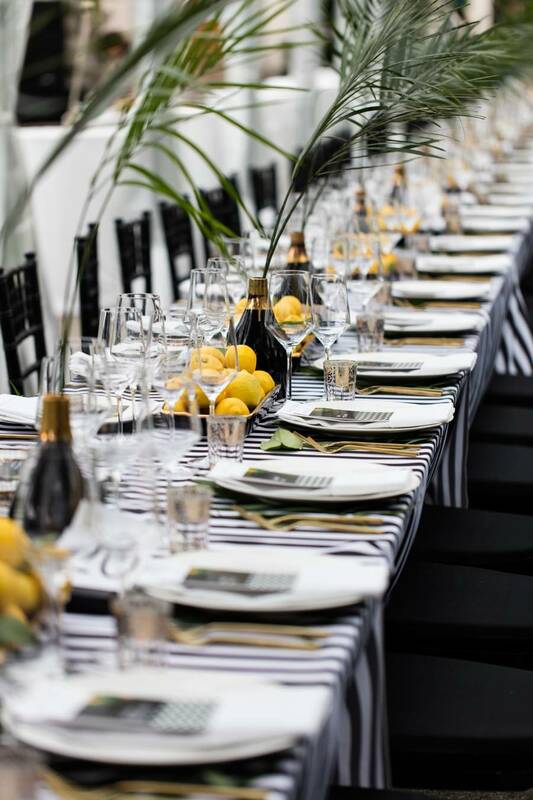 Black Chiavari Chairs add a touch of elegance to the overall modern style while our Gold Arezzo Flatware adds a subtle accent to match the campaign bottle centerpieces. 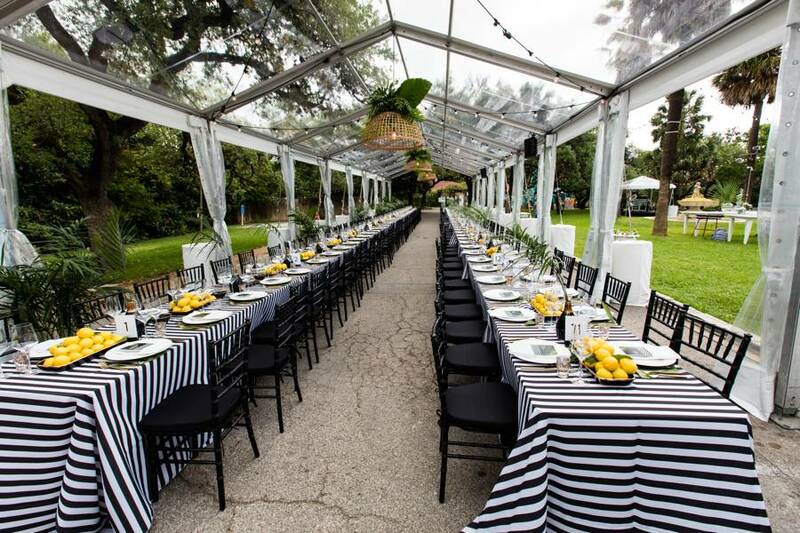 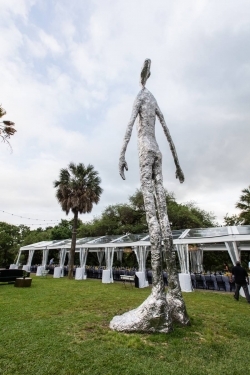 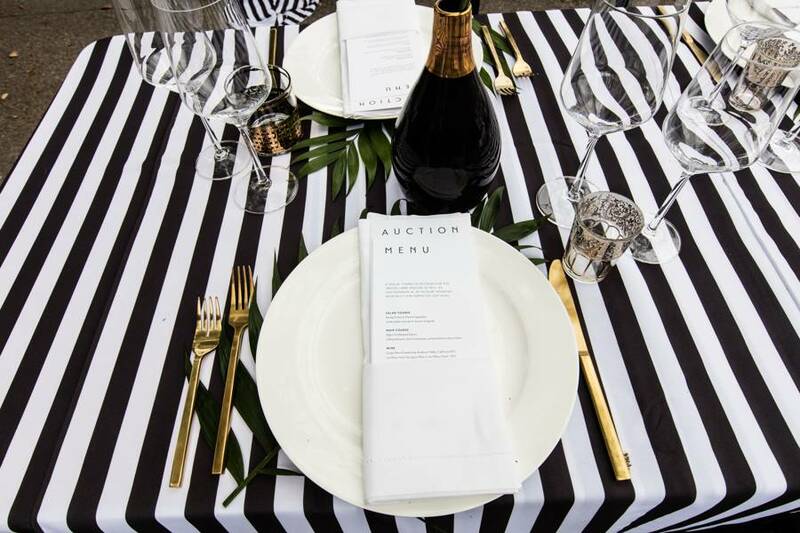 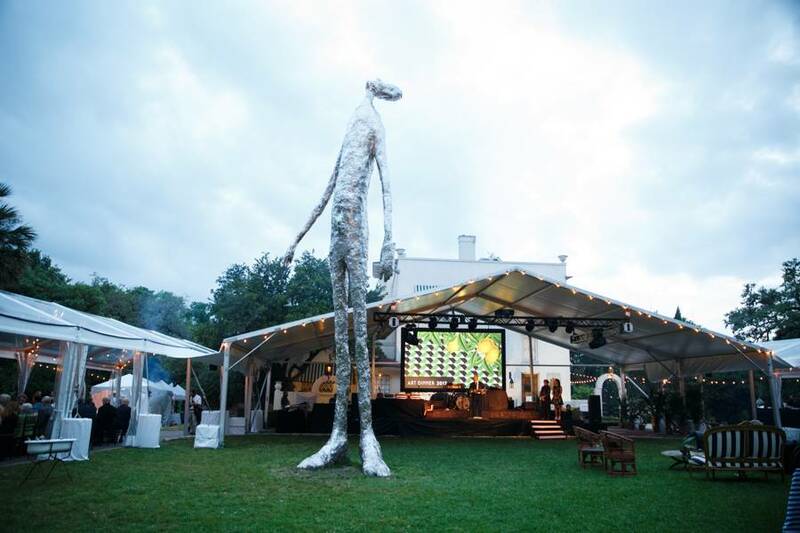 Such a creative layout and theme but what else would you expect from an event at The Contemporary Austin!